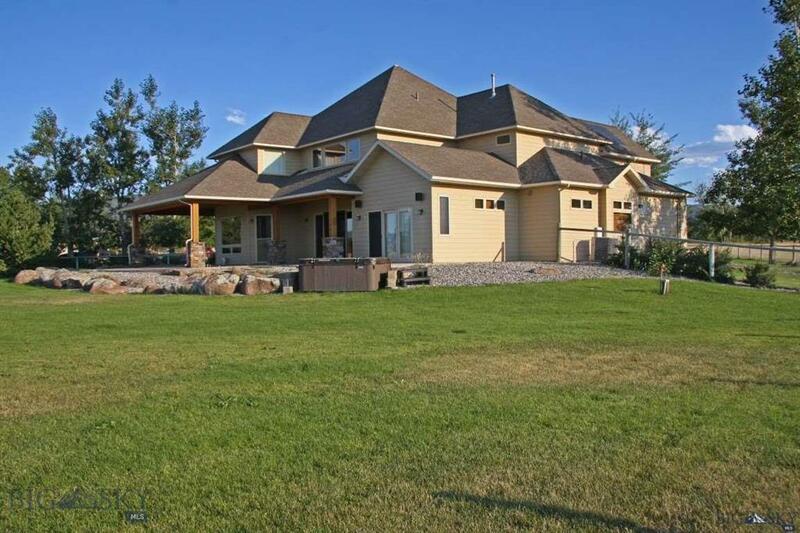 Custom home, like new condition, can be purchased with up to 49 acres, all set up for horses. Main home has a huge great room & large adjoining kitchen, with island and bar, duel ovens, pantry and 10' custom cabinets. High end finishes all through, hardwood, masonry, gas fireplace, main floor master, large outdoor entertainment area 2 bonus rooms, office, steam shower, AC on 2nd floor & in master bedroom, Sonos sound system, in-floor radiant heat. Adjacent guest home that is currently being renovated. Across from the homes is a new shop appx 30 x 40.